Ok, before you start asking. I have not gotten a tattoo. But I did see a new one that interested me. 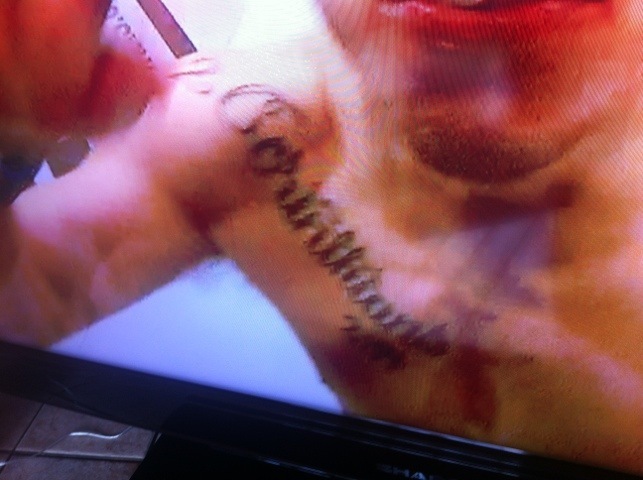 One of the contestants on the FX reality show ‘The Ultimate Fighter Live’ has the Scripture verse 2 Corinthians 2:14 tattoos on his right arm and pectoral. At first glance, I couldn’t remember that verse. So I looked it up. Beautiful truth in this verse. So, if you are going to permenantly attach a verse to your personal identity… This is a good choice.